PRESS RELEASE: Celemony is pleased to announce that Melodyne essential is available now from dealers and the Celemony web shop. At a special introductory price of US$ 69, valid until the end of the year only (thereafter US$ 99), Melodyne essential constitutes an especially affordable point of entry into the world of Melodyne. Despite that, it comes with many of the features that have made the superlative Melodyne editor so popular: from direct plug-in operation to modern 64-bit support and the macros that make the task of correcting vocals particularly simple. Melodyne essential lays the emphasis upon the most important Melodyne functions and is therefore swift and simple to operate. Recordings of lead vocals, monophonic instruments, or drums and percussion are divided up into notes the pitch, position in time, and length of which the user can modify on a piano-roll graphic display. In this way, subtle corrections can be made, or the melody and rhythm altered, in an intuitive fashion. If desired, the tried-and-tested Melodyne macros for pitch and timing correction can be employed. Notes can be moved and copied at will, which - among other things - makes it possible to add additional voices and chords to melodic material or breaks to rhythmic material. "We believe you actually have to experience Melodyne to understand its pioneering nature and how rewarding the possibilities it affords really are," comments Celemony MD Anselm Roessler on the latest addition to the Melodyne range. "Whereas Melodyne essential was previously only available in hardware bundles, we are pleased to be able to offer the considerably improved new version of the program as a normal retail product. The attractive price will make it possible for still more people to get to know and learn to use Melodyne." Melodyne essential operates from the same technological base as Melodyne editor. That means optimal sound quality, a user-friendly interface, modern 64-bit support and silky-smooth operation, whether it's running in stand-alone mode or as a VST, AU, or RTAS plug-in in compatible DAWs. All editions in the Melodyne editor family are compatible with one another and easily upgraded. Documents created by any one edition can be opened in any other and edited using the functions and tools the latter provides. Melodyne essential is supplied with a video tutorial that makes getting started easy. The tutorial, user interface and handbook of Melodyne essential are available in English, French, German, Japanese and Spanish. At www.celemony.com, you will find videos in English on all the topics covered in the user handbook as well as additional tutorials. Users of older versions of Melodyne essential can update to the new version for US$ 29. 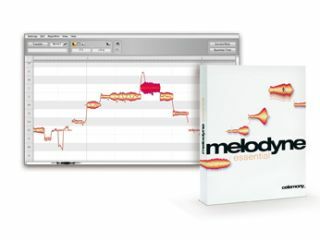 If their Melodyne essential came as part of a Digidesign bundle and was registered and activated after the 1st June 2009, or as part of an E-mu bundle and was registered and activated after the 1st June 2010, users can even update to the new version of Melodyne essential free of charge.